A reliable skateboard only need be reliable so your ‘goofy’, ‘regular’ or ‘switch’ ride positions are comfortable. Well, this is what most skateboarders want to believe. A belief that is easily shattered when they experience the endless ride that is Mellow, a compact electric drive that can snug under any skateboard and turning it into an electric skateboard in a matter of minutes. From the ‘Mellow’ headquarters in Hamburg – The Endless Ride. Mellow is a state of the art compact electric drive that fits under any skateboard. 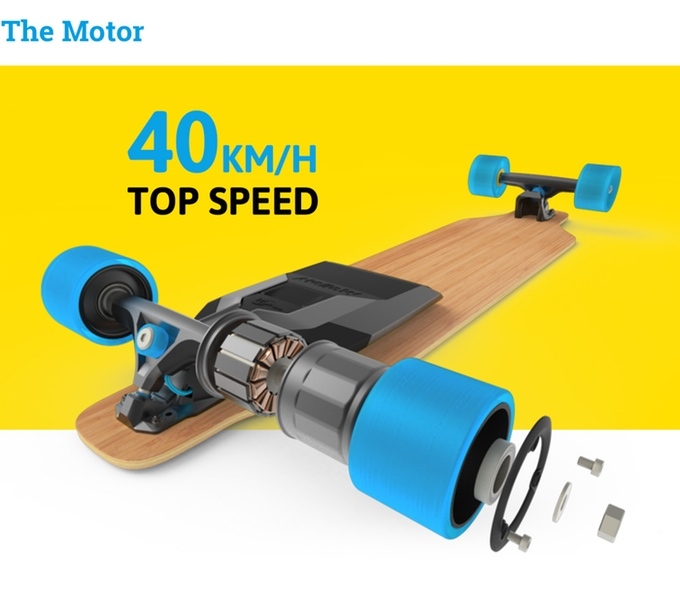 It turns any normal skateboard into an electric skateboard – within minutes. Inspired by the invention of the first skateboards 50 years ago, they now want to take the asphalt surf to the next level. In terms of flexibility, riding pleasure, quality and sustainability. The two in-wheel motors are an amazing piece of technology that is developed and produced in Germany. They deliver an unbeatable torque, performing highly efficiently (95%) with virtually no noise. Completely encapsulated, they are 100% water and dust proof. It reduces the friction and drag within the motor to a minimum. If the battery is empty and you push the board you won't notice a difference to a normal longboard. Every cell in the pack is constantly monitored by an intelligent Battery Management System (BMS). Not only does this protect the battery against overheating, deep discharge, too high currents and any other damage: it also knows the state of charge and communicates it to the Mellow Control Electronics to maximize your range, power and battery life.